Preheat oven to 350°. In a small saucepan over medium heat, melt butter. Stir in sugar and cinnamon. Bring to a boil. Reduce heat; add pecans and walnuts, tossing to coat. Simmer, uncovered, until nuts are lightly toasted, 5-10 minutes. 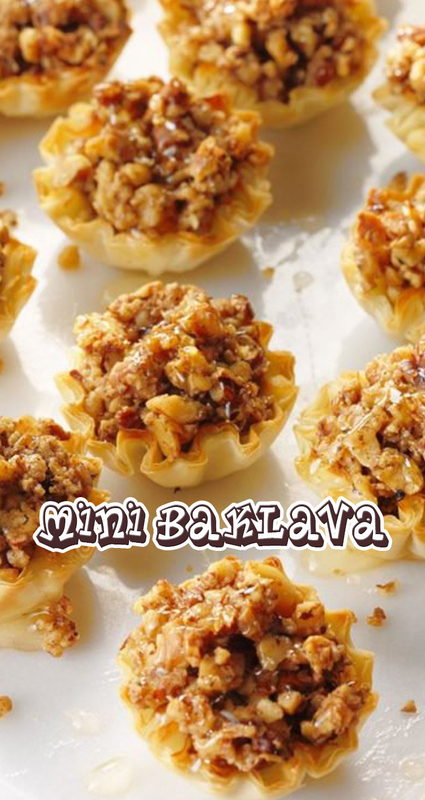 Place phyllo shells on a parchment paper-lined baking sheet. Spoon nut mixture and butter sauce evenly into shells. Bake until golden brown, 9-11 minutes. Cool completely on pan on a wire rack. Drizzle a drop of honey into each shell; let stand, covered, until serving. Serve with additional honey if desired.